Hand painted coasters available in any colors you choose! Hand painted acrylic topped with table top resin to withstand heat and cold reactions. Each coaster is unique! 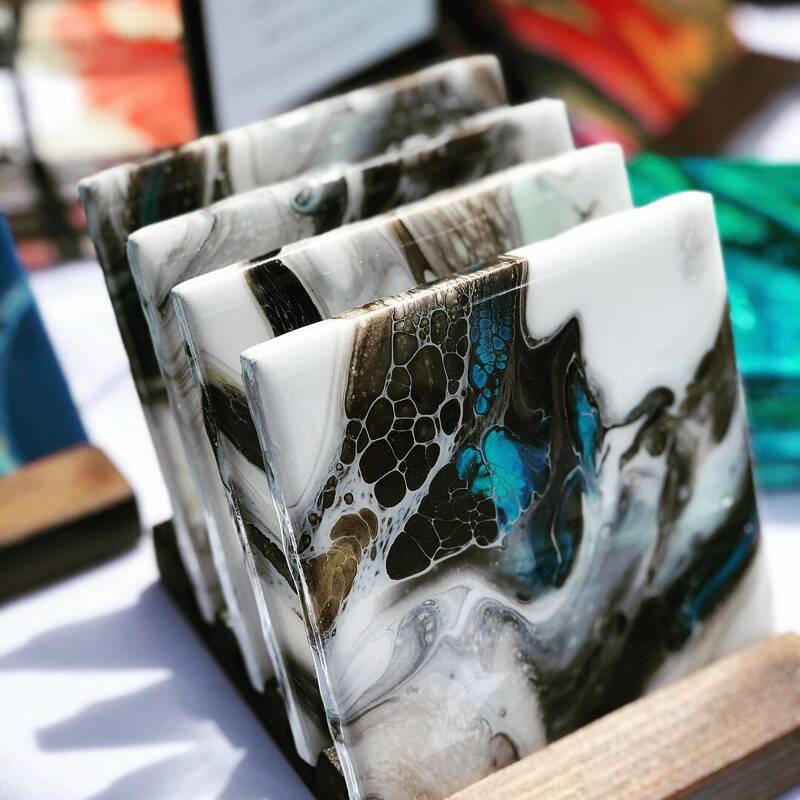 It’s like having 4 mini paintings to decorate your table, patio or bar! Square set comes with 4 coasters (no stand or with stand available).